Political junkets are nothing new. Despite ethics laws that prohibit elected officials from accepting gifts (including free trips) from lobbying organizations, legislators at all levels of government have regularly traveled to Israel on lobby-paid junkets. According to a February 5 article in the National Journal, Israel was the most frequented freebie destination for Members of Congress, with 122 trips in 2014. According to legistorm.com, over 1,000 members of Congress and their families have made the expense paid trip to Israel since 2001. This abuse continues unabated. In February 2015, 15 members of the New York City Council ignored vigorous protests when they flew to Israel on a nine-day tour paid for by the lobbying organizations UJA-Federation and JCRC (Jewish Community Relations Council) of New York. 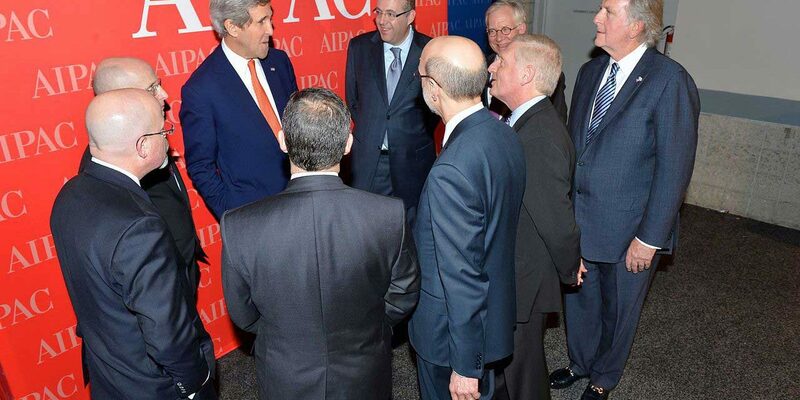 In August, AIPAC (American Israel Public Affairs Committee) took all but three freshman members of Congress to Israel in an apparent effort to sabotage the then pending Iran nuclear deal. The Employee Standards of Conduct of the U.S. Office of Government Ethics, Congressional guidelines and state Ethics Commissions prohibit elected officials from accepting travel gifts from organizations that lobby on issues before them. Yet in the face of often confusing rules and dubious exceptions, lawmakers continue to succumb to the lure of free foreign travel—with impunity. What do lobby organizations gain from their huge investment in hosting legislators? Quite a lot, as evidenced by the many pro-Israel bills and resolutions coming out of Congress, state legislatures and city councils. Israeli travel gifts to legislators complement anti-BDS (Boycott, Divest, Sanction) efforts on U.S. campuses. Over the past year, more than two dozen bills and resolutions have been introduced in Congress and state legislatures that condemn the BDS movement, at least nine of which have achieved passage. In recent months a raft of anti-BDS bills (in Illinois, New York, Tennessee, Pennsylvania, Indiana and California) evidence the new and urgent use of Israel junkets. The state bills reflect both the high priority now accorded to anti-BDS by Prime Minister Netanyahu and the propaganda unloaded on visiting legislators. Take the December 2015 junket by ten Massachusetts state senators. Their tour agenda reveals almost nothing of relevance to trade, business and tourism for the state. Rather its scheduled sessions on Israeli security and political challenges included a “tour of the Knesset” that featured Likud hardliners. In Massachusetts, the Israel lobby has funded lawmaker travel to Israel for at least the last 20 years. Ethics Commission regulations prohibit state employees and elected officials from accepting gifts valued at more than $50. However, a regulatory exception allows travel gifts to legislators who make a pre-trip disclosure that declares that the travel serves a “legitimate public purpose.” The Commission does not review or preapprove gift travel unless a legislator requests a legal opinion in advance. Instead, it relies on public disclosure to generate after the fact complaints. What’s so bad about this trip and similar ones being offered cost-free to Members of Congress, state legislators and city/county council members? First of all, they violate the spirit if not the letter of ethics law. When lawmakers accept expensive travel gifts from AIPAC or local pro-Israel organizations that lobby their legislative bodies, they create at least the appearance of conflict of interest, a form of corruption that erodes public confidence in government. If such trips serve a “legitimate public purpose,” legislators should use public, not special-interest funds to pay for it.